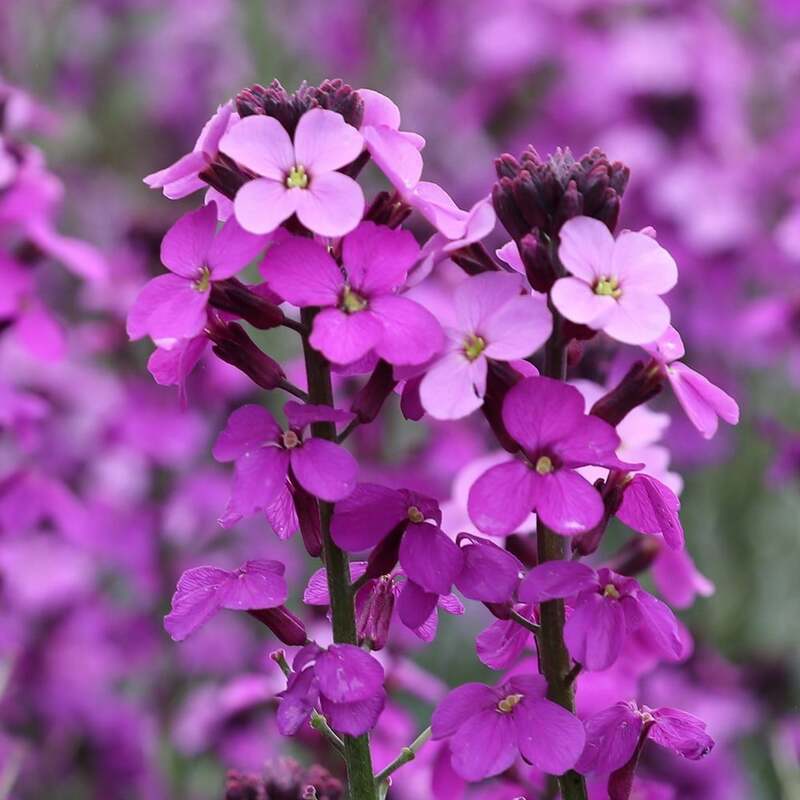 This long-flowering, bushy, vigorous wallflower produces long spires of deep mauve flowers from late winter to summer (and usually into autumn), above narrow, grey-green leaves. It is a short-lived plant, but it makes a vivid display for many months in a sunny border. Try it as part of a colour-themed scheme, or contrast it with vivid yellows. It also looks good in a rock garden or raised bed. Garden care: Requires little attention. Provide cloche protection where frosts are very severe or prolonged. Reliable and very long-flowering perennial. Grows quickly into a shrubby plant, but bottom of stems can get a bit bare of leaves after a time. Easy to care for and remains mostly evergreen in my garden. Has proven to be hardy. I personally consider the flowers to be more pink than 'mauve'. Although healthy and initially flowered well subsequent flowering has not been very prolific, despite dead heading. Perhaps the heat and drought haven't helped! Almost flowered all year ! I bought these to fill along the front of my house, they were lovely and healthy when they arrived and grew to fill the space very quickly, they flowered almost all year round! These plants are in leaf all year round. The leaves are are an unusual shade of gray-green. All summer into October/November the shrub puts out flower spikes which increase its heir by another 12 inches. Theses spikes are smothered in bright mauvish flowers. It grows almost anywhere in any type of soil, although it ilooks best glowing in full sun. Does well in large pots. Is it fine to plant this now or best in the autumn? 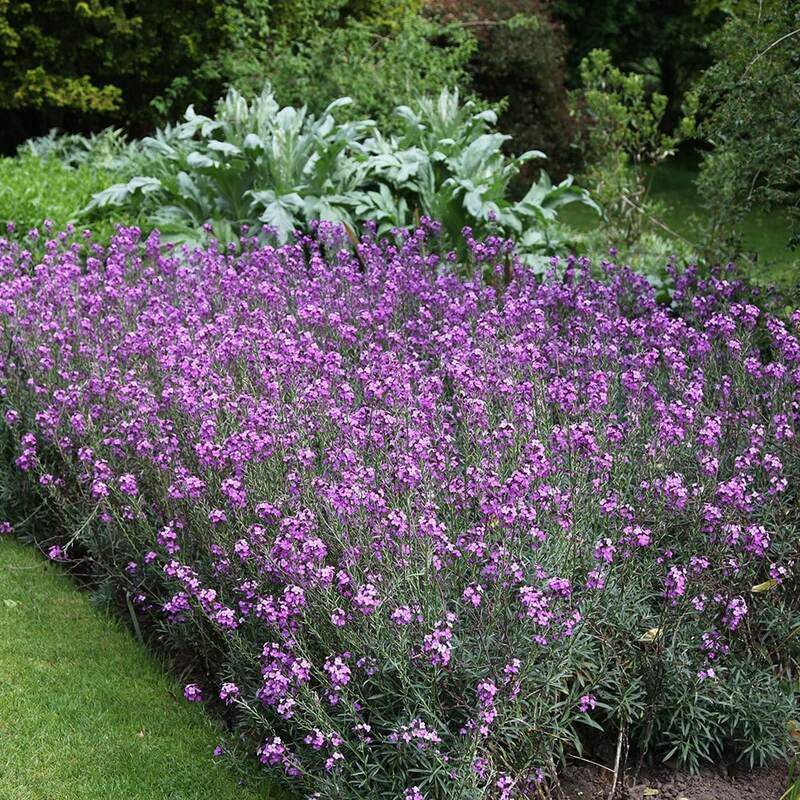 Hello, I would get this in the ground as soon as possible so you can enjoy its incredibly long flowering season. I bought three Bowles Mauve last summer and they never stopped flowering! They have flowered throughout the winter and are still in flower now it's April. However, they are now getting woody and leggy (although still flowering) and looking a bit untidy. Should I have pruned them at some point? If so, is it too late now? Hello, These are incredibly long-flowering, however this tends to mean that they are reasonably short-lived. Therefore I tend to replace mine after they have become woody every couple of years. If you do want to prolong their life as long as possible, you can cut back the flowered stems to a new side shoot in mid- to late summer (if you can bear to cut the flowers off!). Hello,will this lovely plant be ok in a tub filled with compost? Many thanks. My lovely Bowles Mauve has flowered continuously from the moment it arrived in the early spring until now - I am deadheading of course, but even so, it's remarkable. Talk about value for money! My question is: I understand this is a biennial, so how can I tell if it's in its first or second year? If it's the second, at what point should I dig it up to replace? I have one in a pot and it appears to be dying. I was told it could be due to all the rain, but I'm wondering if I should be feeding it ericaceous food and not general plant food? Hello there Erysimum generally flower for a quite a long period of time as long as they have the right conditions. These plants like a neutral to alkaline soil, so it won't like an ericaceous feed, but you could give it a feed of Miracle-Gro, or a high potash feed like Tomorite. http://www.crocus.co.uk/product/_/levington-tomorite/classid.200307/ http://www.crocus.co.uk/product/_/miracle-gro-plant-food/classid.200310/ Hope this helps. 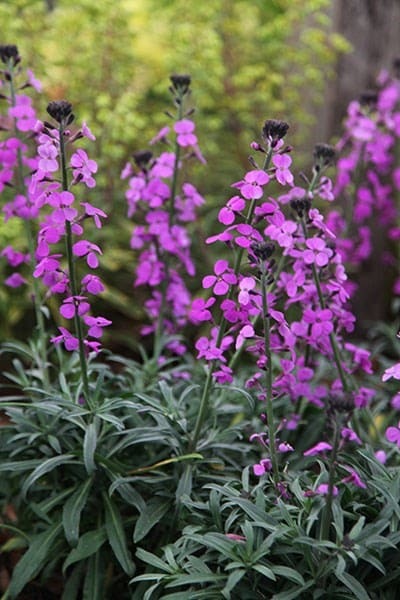 Hi, I have Erysimum 'Bowles's Mauve' in my garden and am wondering if it is O.K. to trim it and would this be a good time to do so. Hello there I wouldn't trim it now. If needed you can lightly trim them after flowering to stop them getting leggy. Hope this helps.